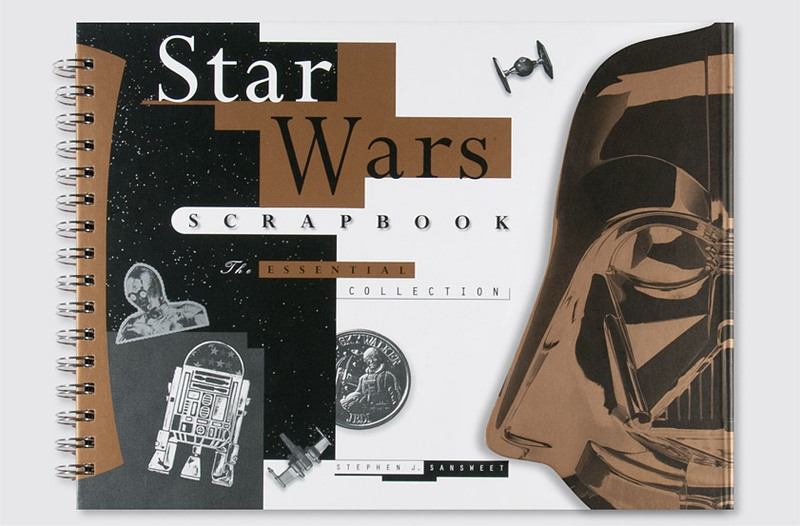 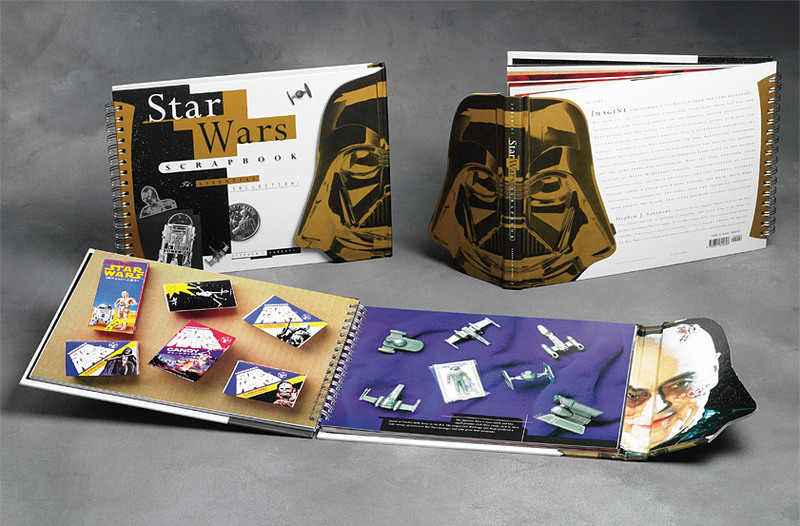 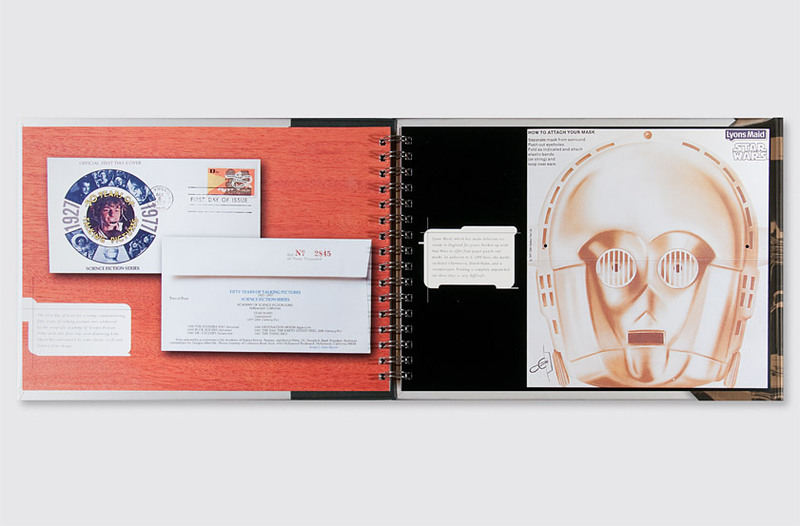 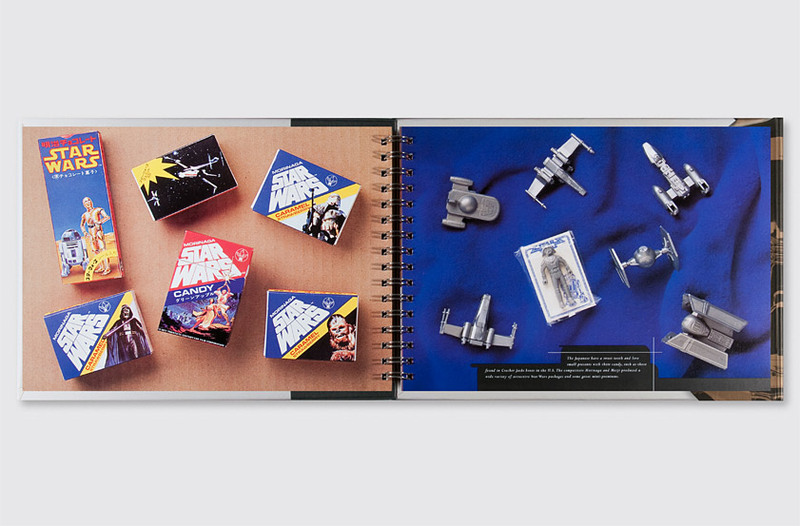 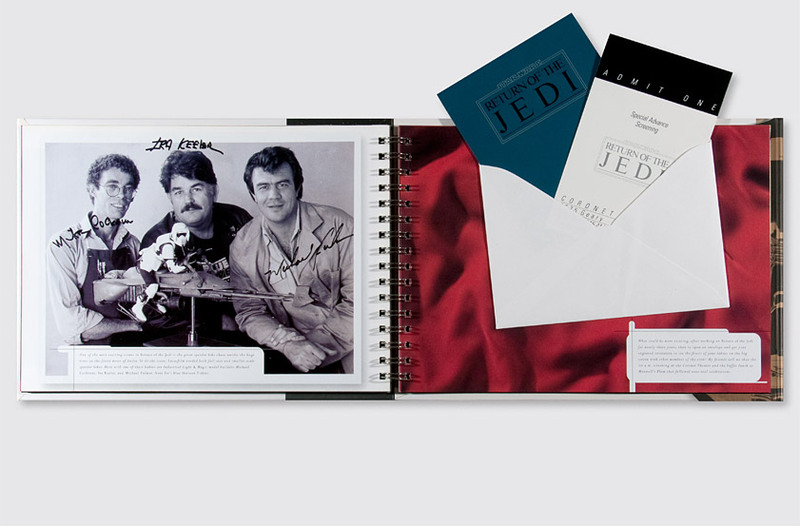 Star Wars Scrapbook, published by Chronicle Books, is a collection of movie memorabilia and merchandise from the Star Wars Trilogy. 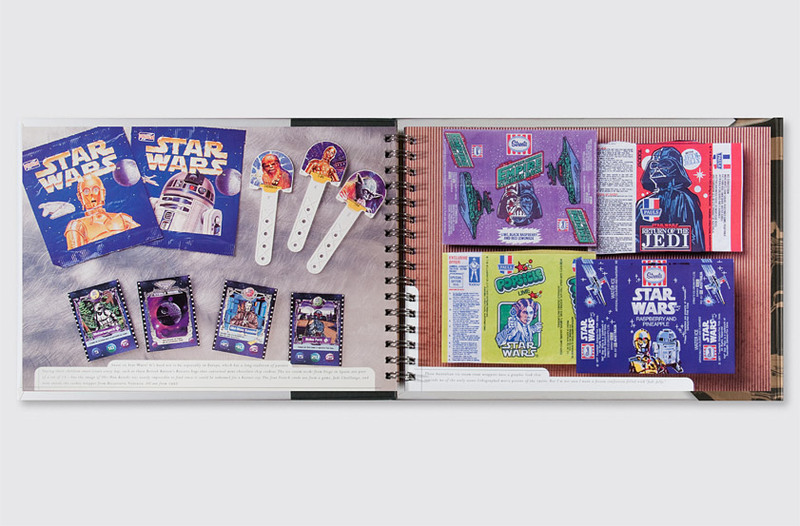 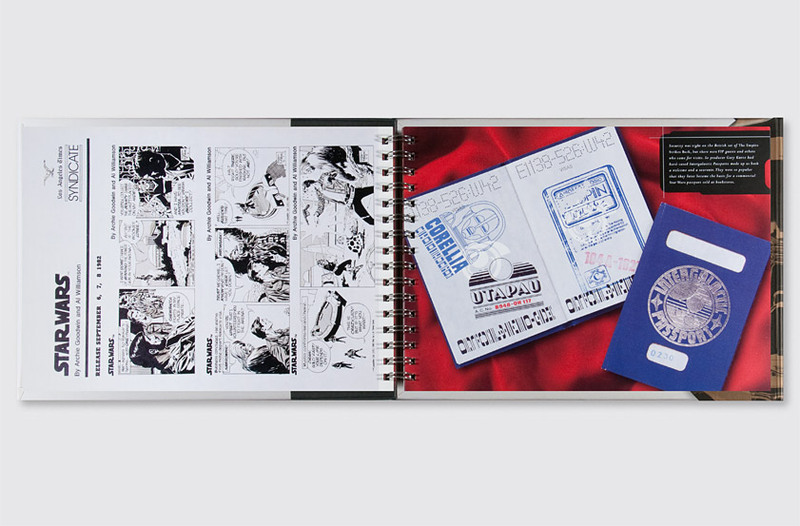 Our solution, true to its scrapbook form, displays most items actual size and reproduces several limited-edition collector’s items in their original materials. 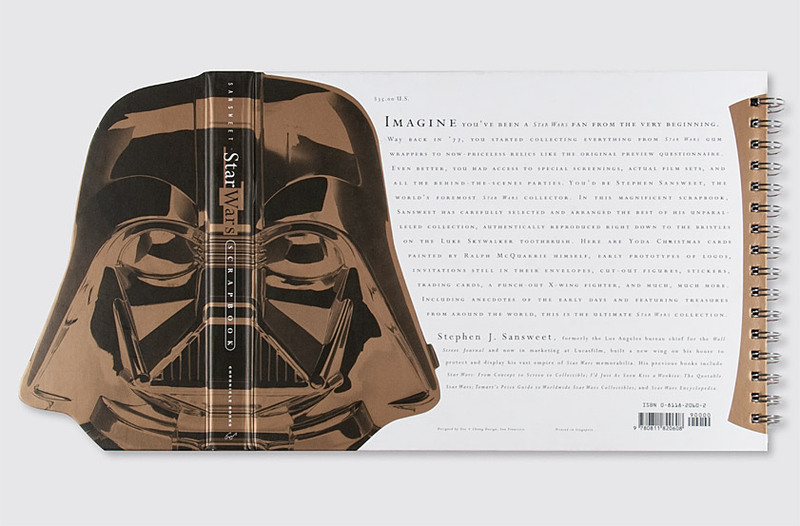 On the cover, Darth Vader is unmasked as Anakin Skywalker. 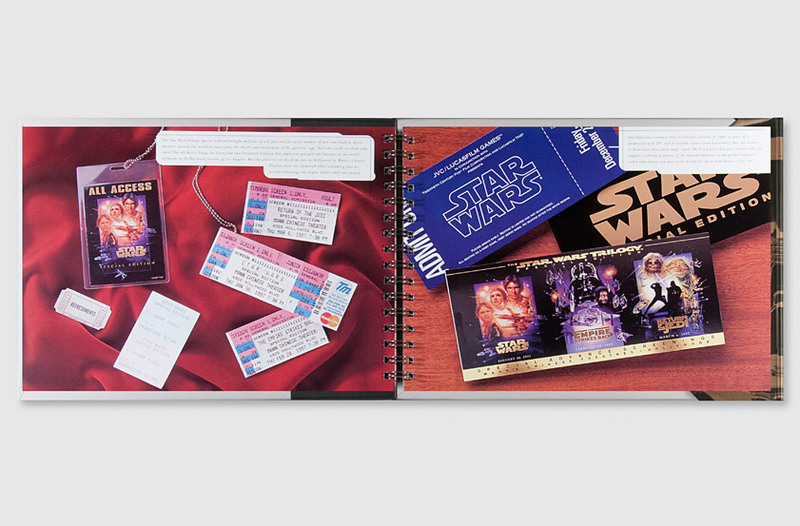 The extensive collection of memorabilia was photographed on wide variety of backgrounds evocative of the subject matter, including movie theater red velvet, garage door siding wood, and scrap metal galvanized steel.